Do you know what’s going on in your field? Make prescriptions based on aerial imagery. 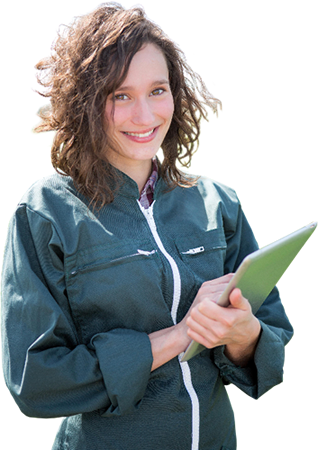 Gain the insight to make better farming decisions. Know when to plant and where your field needs attention. Working with AirScout is easy and affordable. Contact us today and get the details you need to make a wise decision. Thermal Imagery: Did you know? Plants show stress through tiny changes in temperature long before stress can be seen in foliage color changes. That’s what makes AirScout Thermal Imagery™ the most practical and useful imaging technology in agriculture today. AirScout provides an advanced set of images every two weeks throughout the growing season. We also have subscription plans for fewer or more frequent flyovers and image data delivery. AirScout delivers whatever works best for you to optimize crop health and yield. You know NDVI. Now get to know ADVI. 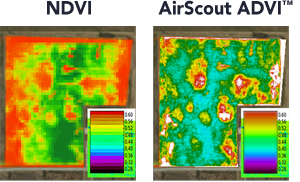 AirScout takes NDVI imaging technology to the next level with ADVI: Advanced Difference Vegetative Index technology. You get a full range of colors instead of just a handful – so you’ll see more highly detailed images. AirScout was developed by a farmer, for farmers – so you can count on it to be practical. You get the right files to drive whatever Variable Rate Treatment precision farming equipment you’re using. AirScout is compatible with all of them. 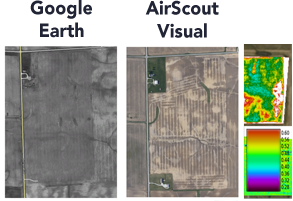 AirScout® Thermal Imagery™ – A new way of seeing crops, soil, and water from the air. Indiana farmer, pilot, and inventor Brian Sutton refused to settle for standard technology when looking at his crops from the air. 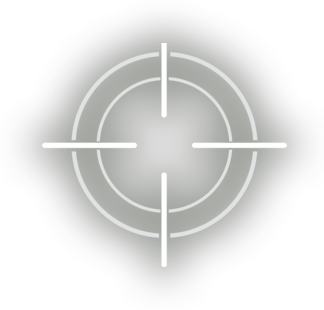 The result after a decade of development and evolution is AirScout. 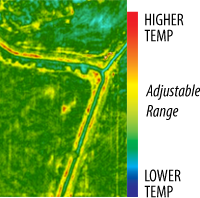 AirScout® Thermal Imagery™ services show plant stress by revealing tiny variations in temperature long before stress is seen in foliage color changes. AirScout’s patented technology reads temperature variations as small as 3/100 degree C. Now you can monitor your crops in a whole new way. AirScout ADVI gives you myriad colors instead of just a handful. The advantage is greater precision when scouting for nutrition problems in crops, and more accurate precision treatment files..
Satellite images don’t provide enough of the right kind of information to be useful to most farmers. Haze is one reason–it reduces contrast and blurs detail. Timeliness is another. AirScout gives you fresh visual images every two weeks or so, that you can use as a confirming reference guide. AirScout Thermal shows where plant health may be in jeopardy due to external conditions like pests or disease. AirScout’s exclusive ADVI, advanced reflectance imagery, indicates nutritional needs based on foliage color. Monitoring plant, soil and water conditions is easier and more precise with AirScout. AirScout is the premier imaging technology for revealing temperature variations in plants, bare soil and water to within 3/100° C. This makes AirScout a new powerful diagnostic tool for a wide range of practical applications and missions.